Marco's Venice Tours & Photo Walks Ramblings of a Confused by Marco Secchi Why I left Venice for the Countryside! Why I left Venice for the Countryside! Sometimes you explore a new place and are surprised to feel so at home. A feeling deep down in your gut that you belong there. And everything just seems to flow together. This is what happened between me and the rural countryside in Hungary, I have not chosen the place but is Orseg that has finally chosen me! Like me, you may be someone who spent most of your life in the big city and wondered what it would be like to live in the country. Here are my top 3 reasons why I left Venice and found myself at home in the rural countryside. Living in Venice was giving me a touch of claustrophobia. Walking stuck in a herd of a hundred people on the sidewalk is a nightmare to me. Some big cities are much more sprawling, but certain things you can’t escape. I lived in London and you’ll drive for an hour and all housing subdivisions look the same, every neighbourhood has the same Big Chain stores, and the streets get jam-packed during rush hour. Is that how we’re meant to spend our time? I really don’t think so. Let me tell you, today I live in the country. 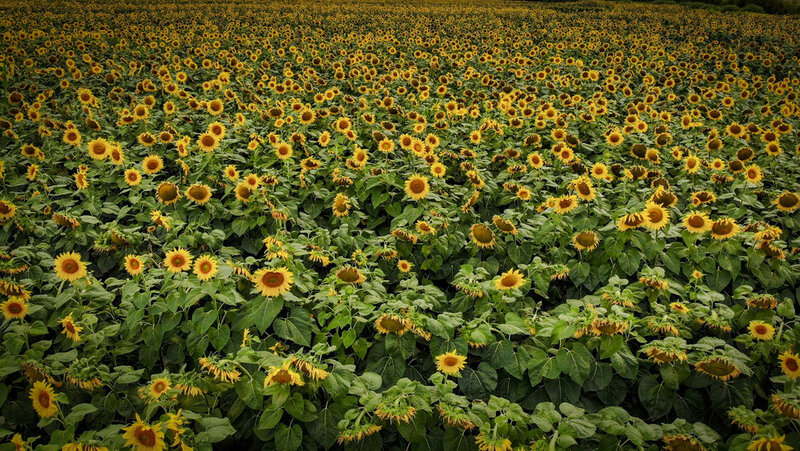 When I need to drive into town, I pass acres of farms, foxes, deer, sunflowers fields exploding up from the horizon. It’s not normal or healthy to be surrounded by smog. This sounds obvious but millions of people choose to do so. Breathing in dirty, dusty sand is bad enough. But heavy smog from industrial pollution is deadly serious to your health. Respiratory problems, skin conditions, cancer, and other damaging effects are to be expected when you live in a cloud of toxic pollution. Plus, if you are going to spend money to live somewhere – shouldn’t it be pleasing to the eyes? And this isn’t a static condition. It’s something that gets worse every single day. #3 Where are people going to wish they lived in 5-10 years? After having lived in Venice for a few years, I greatly appreciate the quiet country life. When people come to visit, you can see the stress melting off them. I am more creative, I can think more freely and see the world and what is around me in a better more relaxed way, I am not upset all the time, I love it! I tend to meet more real people with real problems, Social media is less important but stopping and having a coffee or a Palinka is very much appreciated. You may cue in a small grocery store for 20 min because of chats but quality of life is more relaxed, there is a different perception of time. I appreciate more what I have got and what I really need, I am much more closer to a minimalistic way of life... and I am experimenting again the 100 thing you posses or rule 333. There is no luxury, dress code, fashion, etc you are considered for what you really are and what you do and not for how you "appear". For these reasons and more, I feel that areas like this will be among the most hotly contested within the next decade. Things are getting weird quick in the big cities. People are getting fed up and they want out. Claim a spot while you can!